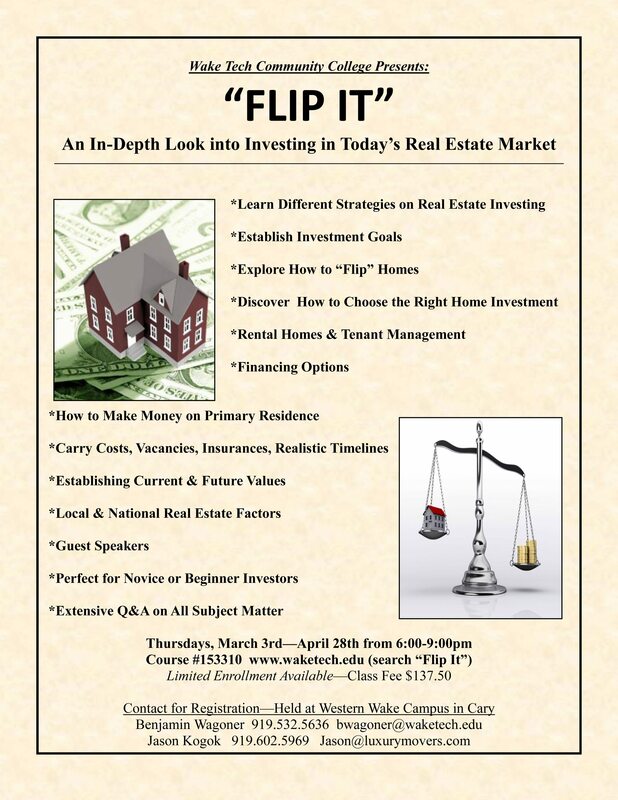 Jason teaches a class called “Flip It” several times a year at Wake Tech on real estate investing. The class will be offered again this spring, starting March 3rd and running through April 28th, on Thursdays from 6:00-9:00pm at Wake Tech’s Western Wake Campus in Cary. The course is $137.50 . Registration is open online at www.waketech.edu and space fills up quickly (search “Flip It”). The class is great for novice investors or real estate agents trying to improve on the investment market.